Video games have been a spectator sport since teenagers crowded around arcade machines to watch friends play "Pac-Man." And for decades, kids have gathered in living rooms to marvel at how others master games like "Street Fighter II" and "Super Mario Bros."
But today there's Twitch. It's the online network that attracts millions of visitors. Most watch live and recorded footage of other people playing video games, in much the same way that football fans tune in to ESPN. 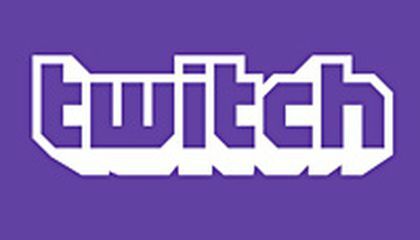 Twitch's 55 million monthly users viewed over 15 billion minutes of content on the service in July. 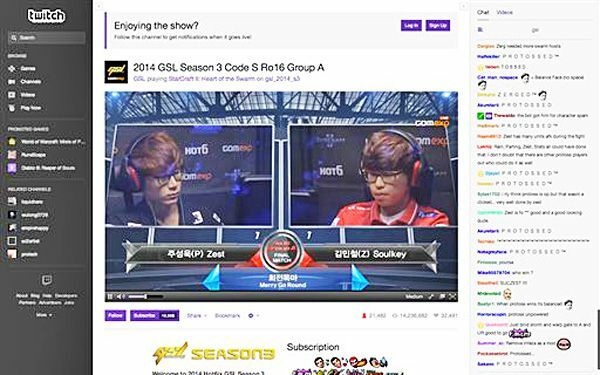 That made Twitch.tv one of the world's biggest sources of Internet traffic. According to network services company Sandvine, Twitch generates more traffic in the U.S. than HBO Go. That's the streaming service that's home to popular shows such as "Game of Thrones" and "Girls." Fans watch for the same reasons ancient Romans flocked to the Colosseum. They want to witness extraordinary displays of agility and skill. Most Twitch viewers are gamers themselves. They not only see the live and recorded video sessions as a way to sharpen their abilities, but also as a way to interact with star players in chatrooms or simply be entertained. Sorah Devlin, a 31-year-old mother of two from Geneva, New York, says she watches Twitch with her 7-year-old son and 4-year-old daughter. Their game of choice is "Minecraft," which lets players build or break things out of cubes and explore a blocky 3-D world around them. Devlin and her kids watch popular "Minecraft" players who go by names such as iBallisticSquid and SuperChache show their skills. She said she is comfortable watching them with the kids. Twitch fans are mostly male and between the ages of 18 and 49. That's an important demographic for advertisers. Nearly half of visitors spend 20 or more hours a week watching Twitch video, according to the company. As a result, Twitch commands premium prices from advertisers. The company's cost per thousand views, or the amount an advertiser pays to run one video ad 1,000 times, is $16.84 in the U.S. That's well above the average $9.11 per thousand advertisers typically pay for video ads placed on other sites. Twitch can be lucrative for talented gamers, too. The site allows some gamers who set up channels what the company calls "broadcasters" to charge $5 monthly subscription fees to viewers. Plus Twitch gives a portion of all ad revenue to broadcasters. Twitch didn't start out as a video game-focused company. The company, based in San Francisco, spun out of Justin.tv. It was a quirky service that revolved around a video feed tracking the daily activities of co-founder Justin Kan. The focus shifted to live video for gamers in 2011. Brett Butz, 26, who works as a compliance officer outside of Boston, says he's spent $20 to $25 to watch content on Twitch. It's "more than I ever paid for YouTube," which also broadcasts games. While YouTube is popular with gamers, Butz says he prefers Twitch as a place to view games. Critical thinking challenge: Why does Amazon want to buy Twitch? What would Amazon do with it? How could Amazon make more money with Twitch? Would you pay $3,200,000 for a comic book? I think this is awsome . amazon wants to buy this because of all the revenue it has . i hope that this company doesnt sell their buisness to amazon . I do think watching video games is the next big thing. Research shows video game commentary is the number one most watched thing on YouTube. Another thing to back me up is Pewdiepie a gaming commentator and the number one most watched/subscribed YouTube on YouTube. As a gamer I occasionally buy or look of game guides to help me on hard games that get me stuck. So twitch is a big help to gamers. I think that twitch is a good place for people that like video games. I have used it before and i must say it's pretty cool that you can just go on there and search any game you want. you can go on there for tricks or hints or if you just need help with a part, or if you just enjoy watching people play video games. so i think its a good place for people to use and i think that amazon should get it and make it bigger and more well known. I think that twitch is good for people because it gives people a chance to show other people how good they are good at video games. you never know some people can be good and you might not think that they are good at video games. I think that Twitch is going to become more popular than You Tube. If most gamers prefer you tube to view games and only a few prefer Twitch better. More people may eventually use twitch. I think twitch is a great website. not only for entertainment but streamers actually get a good amount of money. Also most streamers have YouTube accounts so they get money from there too. Me personally i watch curtain people when it comes to video games like for Grand Theft Auto i watch Lui Calibur and Vanoss and H20 Delirious. On the weekends i post videos on Youtube I mainly post videos of Grand Theft Auto and Call of Duty Black Ops 2. I also have 100,000 subscribers on Youtube. I watch people on twitch like KYR SP33DY,TheSyndicateProject, And FaZe members that play COD and other games. I also watch them to probably get better at games like COD and MineCraft. YouTube is also popular for people to watch people that play games.People like PewDiePie, SeaNanners, FaZe Rain, And many more people that are internet famous from YouTube.